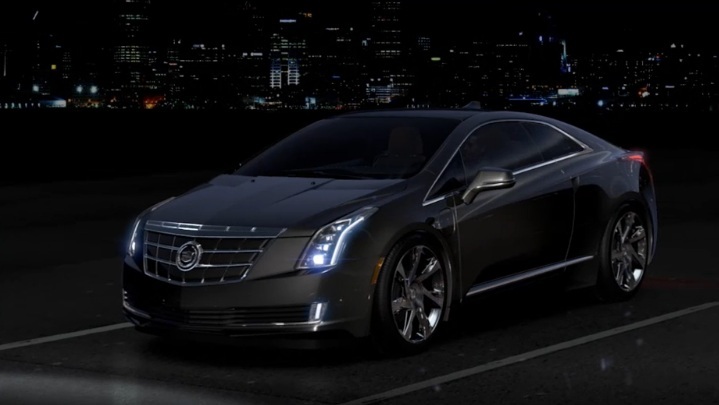 Cadillac has its eyes set on beating out the Tesla Model S. Its newest venture is the all-electric Cadillac ELR. This machine is set to debut in early 2014 and has high-tech features from nose to tail. The ELR design is based on the innovative Chevrolet Volt, but takes the Volt’s best qualities and makes them even better with added luxury. Cadillac engineers designed brand new suspension systems to capitalize on the ELR’s efficiency. Each piece of the suspension has a unique function that all work together to provide the most responsive driving dynamics with the highest level of efficiency. One of these pieces is something called Hi-Per Strut. This eliminates torque steer and increases the front axle’s grip while cornering. Watch this video to hear more about the innovative suspension technologies. Another inventive piece of technology is the paddler shifters that allow the driver to capture energy and store it in the battery. To use this feature, called Regen on Demand, drivers need to lift their foot from the accelerator and hold down the right or left paddle. This will cause the ELR to decelerate a bit more than coasting, but less than applying the brakes. We can’t wait to see what other technologies Cadillac has designed for the ELR. Are you looking forward to the ELR’s release next year?